I haven't done an update post since B was 22 months old, so I wanted to play catch up. I sooooo enjoy looking back over the last two years remembering the many changes, accomplished milestones, frustrations, and joys of our little boy that I wanted to back up and document the last 3 months (at least the things I remember). B's interest in books have come and gone, but currently he loves to look at books, pretend he is reading books, and listen to us read books. We make frequent visits to the library and B usually enjoys the books we bring home for weeks. We know longer have to only check out board books, so that has allowed us to bring more books home that are specific to his interests. He constantly talks about animals--especially rhinoceros, hippopotamus, crab, Goliath grouper, lizards, ant, spider, gorilla, and crocodile. He is particularly interested in Safari animals (all of them--he even even says wildebeests and antelope) and insects/spiders. He has been very interested in cars, of which he received several for his birthday. He still plays with them every day and now enjoys lining them up to watch the "Bug Show." This was the table decor my mother-in-law used for B's 2nd birthday celebration. He loved it!!!! Speaking of the "Bug Show," he is obsessed with it!!!!!! Since going to Disney World in early March B has talked about various experiences every day. First, it was the safari, then it was the Nemo show, and now it is the "It's Tough to be a Bug" show. 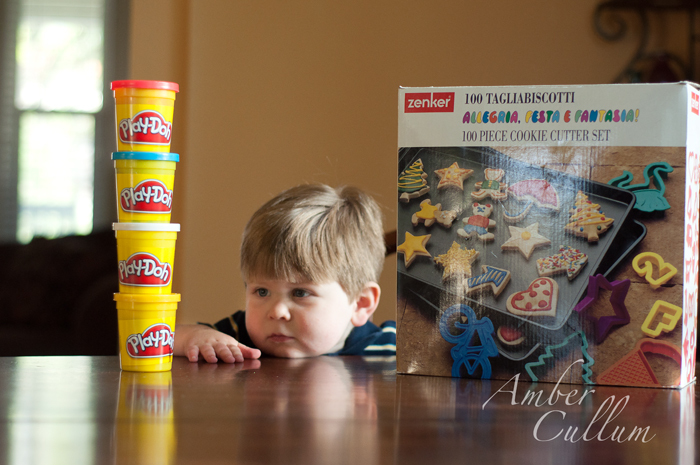 During the months of January and February he was asking to play with Play-doh every day. It is so funny to think about how interested he can be in an activity to ask for it every day. 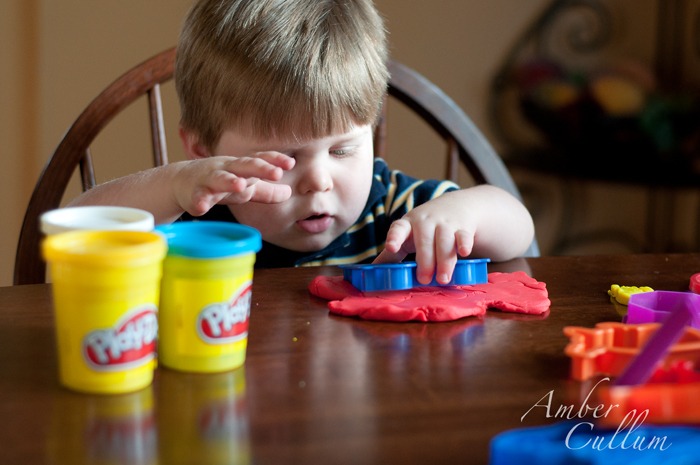 Then, all of a sudden he moves on to a new interest totally forgetting about the previous one (in this case Play-doh). One Sunday afternoon, he napped horribly, so we gave him some books in his room for quiet time. After a few minutes we heard, "Hey Sam, I gotta a poopy diaper." I usually put B to bed, but occasionally he wants his daddy. One evening after Sam had left the room B yelled, "Hey Sam, I ont (aka. want) you." When he throws objects in the floor on purpose, he usually says, "Uh-oh." Sam and I usually reply, "That wasn't an uh-oh, that was on purpose." A few days ago, while riding in the car he threw his glow stick in the floor and said, "That wasn't an uh-oh." We read If You Give a Moose a Muffin on a regular basis. One page talks about going to the store to buy more muffin mix. A few weeks ago, while driving I told B we were going to the store. He said, "Buy cottage cheese...gapes...get muffin mix." One morning he was walking around the house and would suddenly stop raising his hands to his shoulder and yell, "Don't touch the boat, Nemo." Singing and dancing have become a part of his daily routine. Here are a few videos for your enjoyment. Most evenings we make up a story to tell him before bed. He loves to hear stories about Rocky the rhino, Pipp the hippo, Jabb the crab, and Flick the ant. These are his favorites, but he is a great eater. For dinner, he eats what we eat which is a huge blessing. Not only is he a good eater, but he is a HUGE eater. Some days, I am concerned that he may be eating too much, but he hasn't gained weight for the last several months, so I know he is eating what he needs. Plus, he eats healthy food with the occasional snack mixed in. He can do a front roll, aka. flip flop and he enjoys jumping on the mini trampoline his grandparents got him for his birthday. We are continuing to work on his ability to hang from the monkey bars. Currently, he can hang for a few seconds before letting go. He loves to swing. 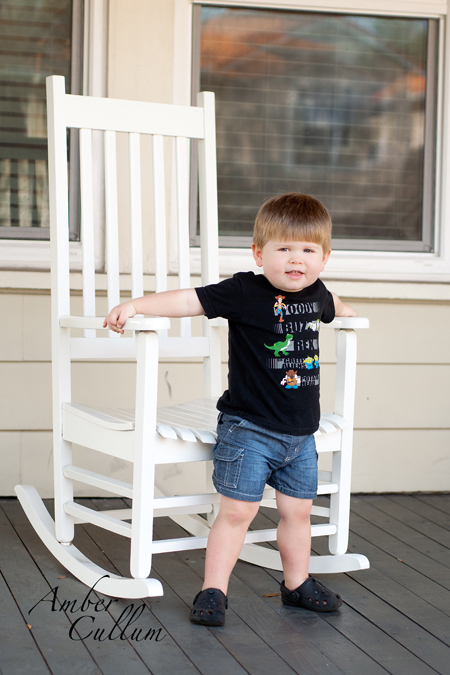 He primarily swings in the "baby swing", but will occasionally request the "big boy" swing. He does a great job holding on and will talk about pumping his legs forward and back, but does not actually pump them back and forth. Since his birthday his independent play has significantly improved, which is a huge answer to prayer. If he is feeling well, he will often play for 10 to 20 minutes. 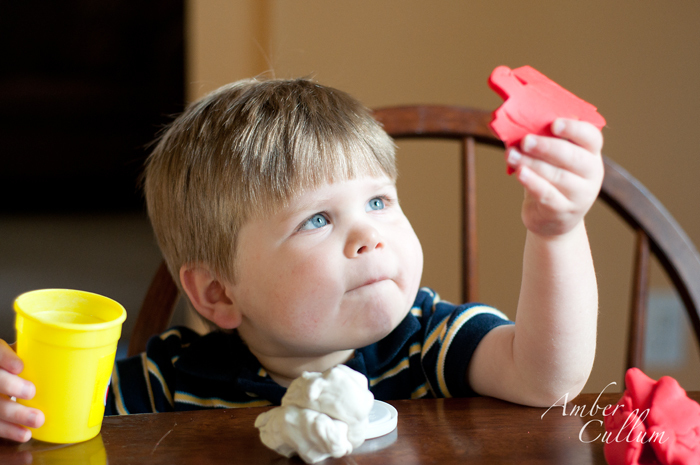 I have noticed as his imagination and understanding of pretend play expands his ability to play independently expands. He is most likely to play independently with his cars or trains. As I have watched other kids his age play I have learned that B is very cautious. 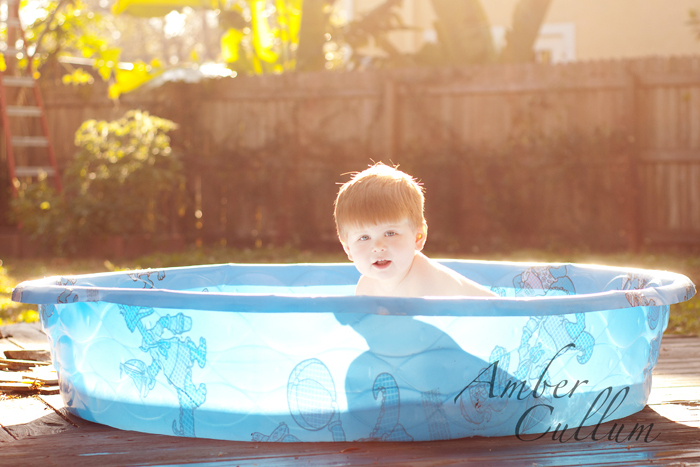 He loves to play and will take some risks, but rarely will he take a risk unless Sam or myself are nearby. 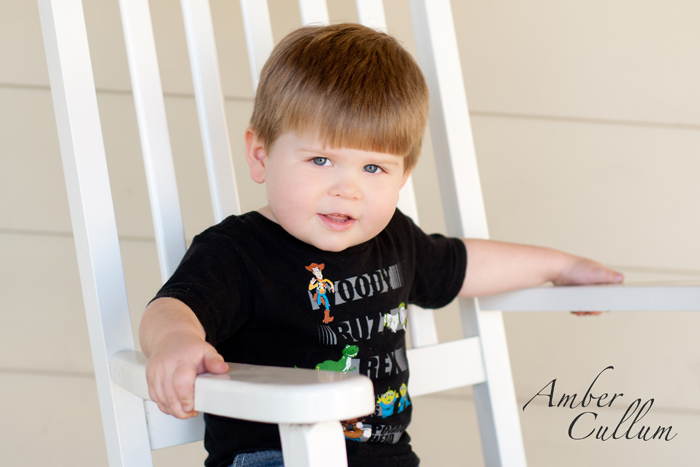 He continues to be cautious with stairs, climbing ladders at the park, walking the balance beam (aka. railroad ties or curbs), etc. He will complete the task, but will usually reach for our hand first. Most weeks he still cries like he is dying when we drop him off for Sunday school, Bible study, or the gym nursery. We have been told he calms down after a few moments during Sunday school and Bible study, but they always come get me at the gym. Therefore, I rarely if ever go to the gym during the day. He has also decided that he no longer needs a nap. I KNOW!!! It is rare for a 2 year old to give up his nap, but leave it to B to be rare :) We have been working on quiet time in his room, which is slowly improving. Overall, Bennett is a good listener and will follow through with our requests the first time. Besides his napping and separation anxiety he is a very pleasant, sweet, sensitive, joyful child. Each and every day you put a smile on my face and your dad's face through the words you speak, the hugs you give, and ways you play. Your energy may drain ours at times, but for the most part it ignites a new passion in us to live life more intentionally and to love more sincerely. You have such a sweet, sensitive personality. We can already see God working in your in life through the songs you sing, the words you speak, and the way you listen when we share simple truths with you. We simply adore listening to you to talk to your animals, cars, and trains as you play. We enjoy watching you chase squirrels and hunt for lizards. There are so many things we love about you!! What joy to read, watch and listen, remember and give thanks for this precious boy and the great job you and Sam are doing in rearing him. Such a sweet post. He does say some very funny things! 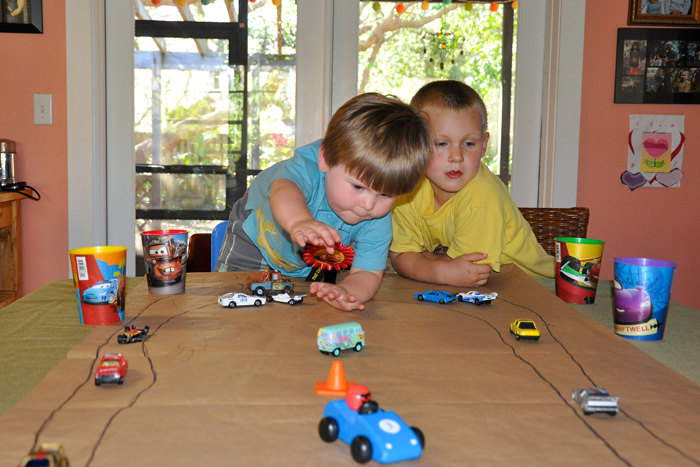 And I love the car track table decor - what a great idea! Love the pictures and videos of Bennett! I watched one of them in my phone with Jack and kept cracking up. He is truly turning into a little man and not a baby anymore... can't wait to hear all the other things he starts to come up with! 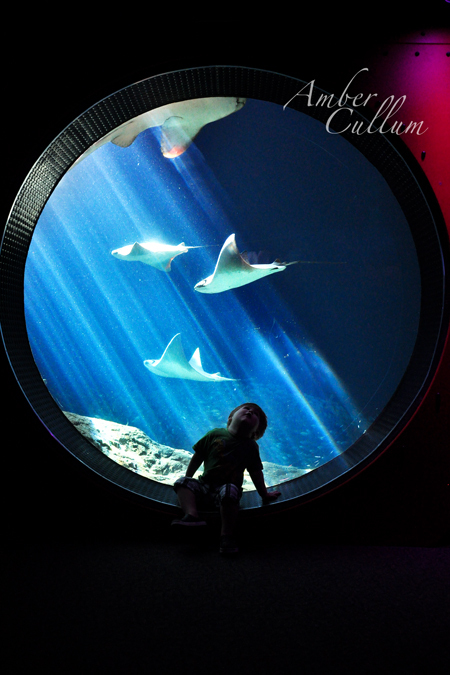 I LOVE that picture at the aquarium. Amazing. You are so good at recording all of B's milestones and fun things to remember.